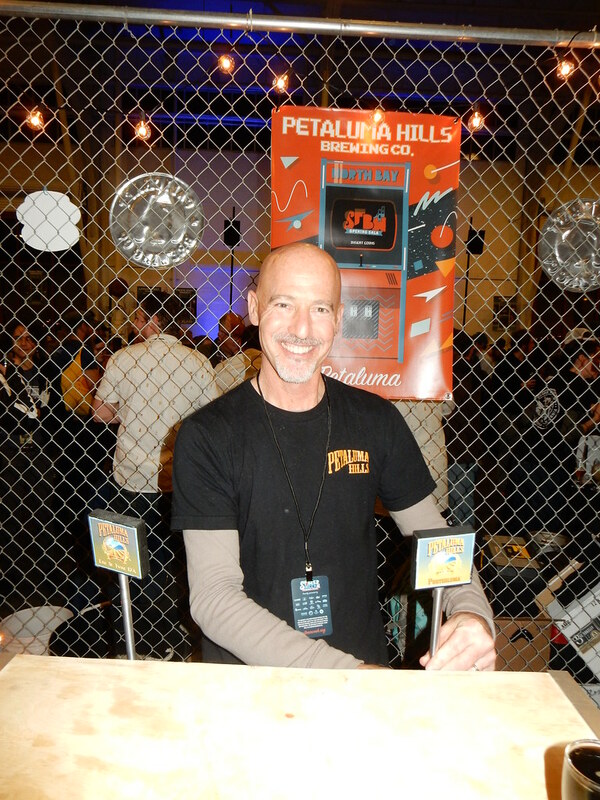 Today is the 58th birthday of Jeffrey “JJ” Jay, who founded Petaluma Hills Brewing. JJ was an animator who worked for Lucas Arts, Pixar and Dreamworks Animation and during that time was an avid homebrewer. In 2012, he left his job to start his own brewery in Petaluma and made great beer for the next five years before shutting things down in 2017. JJ also was kind enough to talk to my SSU class and over the years I really came to like JJ and especially his dry sense of humor. It’s a shame his brewery didn’t make it hopefully he’ll figure out something to return to the beer industry. Join me in wishing JJ a very happy birthday. 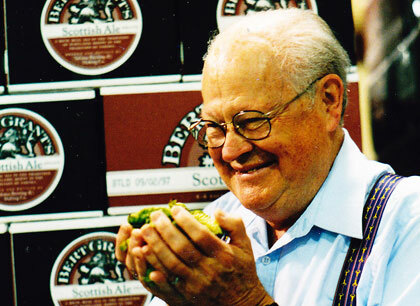 Today would have been Bert Grant’s 90th birthday, and he is still definitely missed. 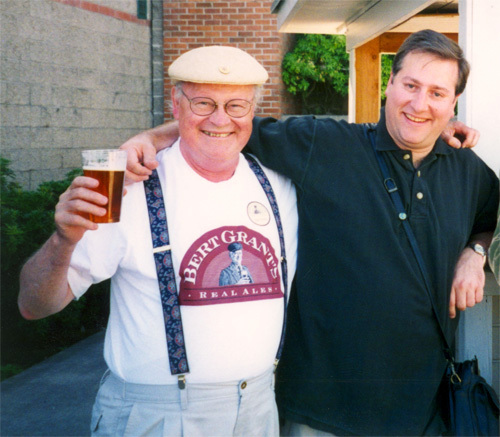 Bert opened the country’s first brewpub in 1982 in Yakima, Washington and was a fixture in the industry until his death in late July of 2001. Join me tonight in lifting a pint to Bert’s memory. Bert Grant and me at OBF in the mid-1990s. Craft brewing pioneer Bert Grant, who founded the first modern day brewpub in the United States, is dead at 73. Grant had been ill for two years and died Tuesday at the University of British Columbia Hospital in Vancouver. He had moved to that city a year ago to be close to his children. When Grant founded his brewpub in Yakima, Wash., in 1982 there were fewer than 50 individual brewing operations in the U.S. Today there are more than 1,500. 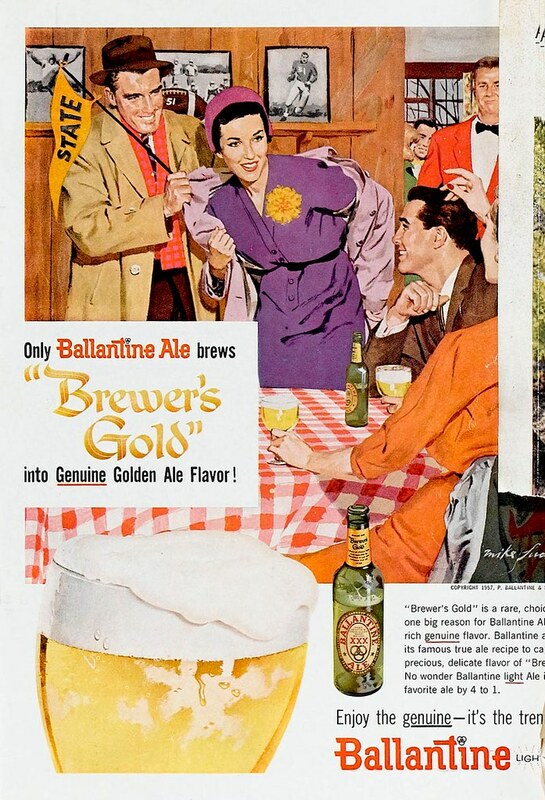 That brewpub expanded to become a bottling microbrewery, selling about 10,000 barrels of Bert Grant’s Ales in 2001. He sold the brewery to Chateau Ste. Michelle wines in 1995, but Grant remained an active spokesman until being slowed by illness. He’d sometimes wear a kilt at his pub in Yakima and occasionally dance on the bar. He kept a claymore — a double-bladed broadsword — just in case he had to enforce his ban on smoking. He was born in Dundee, Scotland, in 1928. He moved to Toronto, where he grew up and got his first job in a brewery … at 16, he became a beer taster. He remained in the beer business all his life. He moved to Yakima in 1967, where he helped build and operate two plants that processed hops. 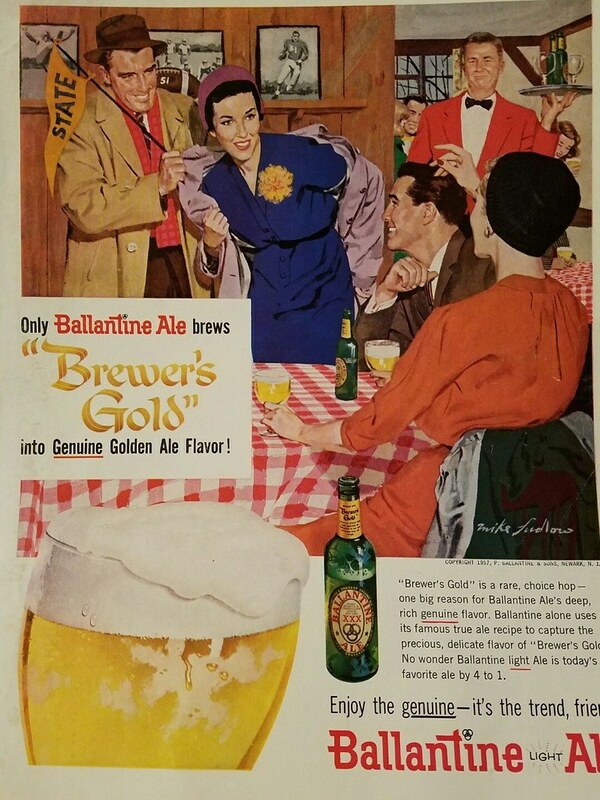 His patented processing of hops is still in use today.